Traditional braces fir green colour. With Edelweiss motif. Classic Schuhmacher accessories. 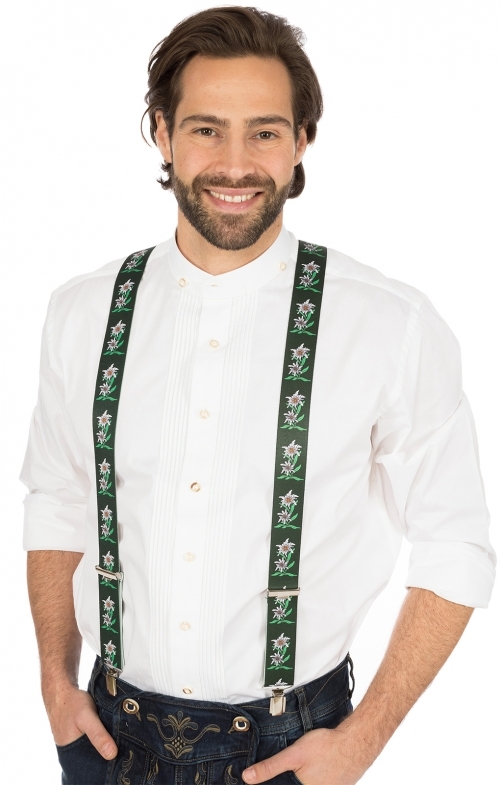 Fir green is simply the perfect colour for this suspenders, as it really can be combined with all pants. The braces can be attached to the trouser waistband of any pair of trousers and, thanks to the length adjustment, can be perfectly adjusted to your own body size.